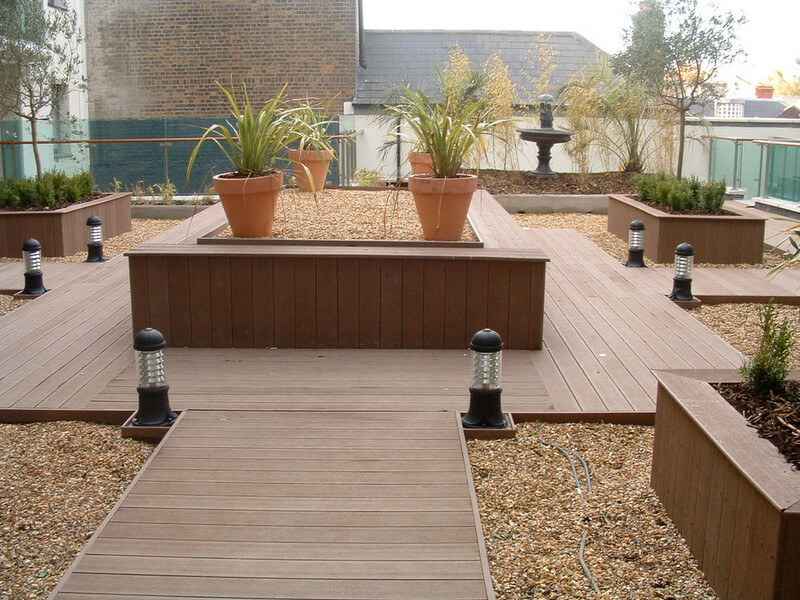 This is a beautiful outdoor area featuring a wooden ground and matching raised flower beds. There seems to be plenty of square-based beds protecting lovely plants. In the middle we see an oversized raised bed with four orange containers, one at each corner, holding grassy plants. Saw dust or a related material is used to cover unpaved areas.